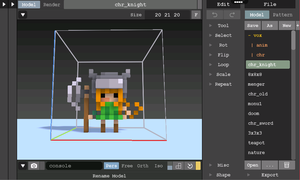 A free lightweight 8-bit voxel editor and interactive path tracing renderer. 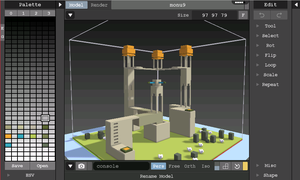 With it you can create and edit models. It comes with a rendering engine and provides you with a comprehensive set of tools to work with. 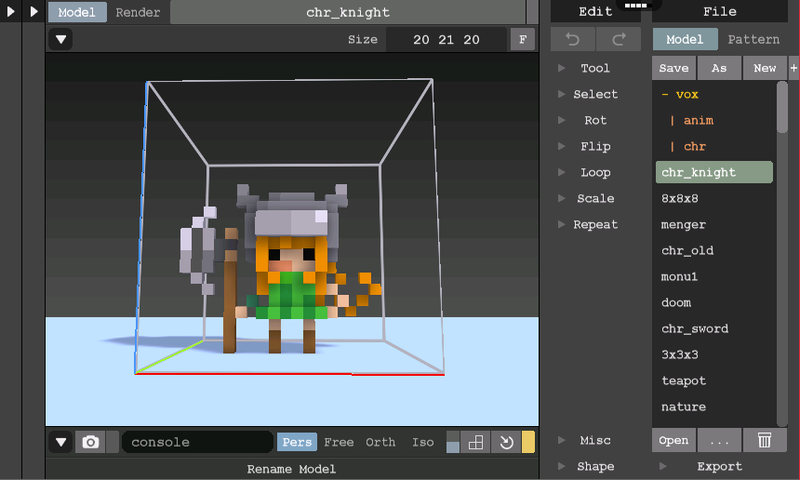 MagicaVoxel houses an impressive array of features, yet it is extremely easy to use, includes an interactive path tracing renderer and has extensive export capabilities. It has an impressive, fully customizable interface, and the layout has been well designed. Each panel can be collapsed or expanded to give the user access to more tools or increase the space of the drawing window. There are multiple types of brushes with which users can draw various shapes. 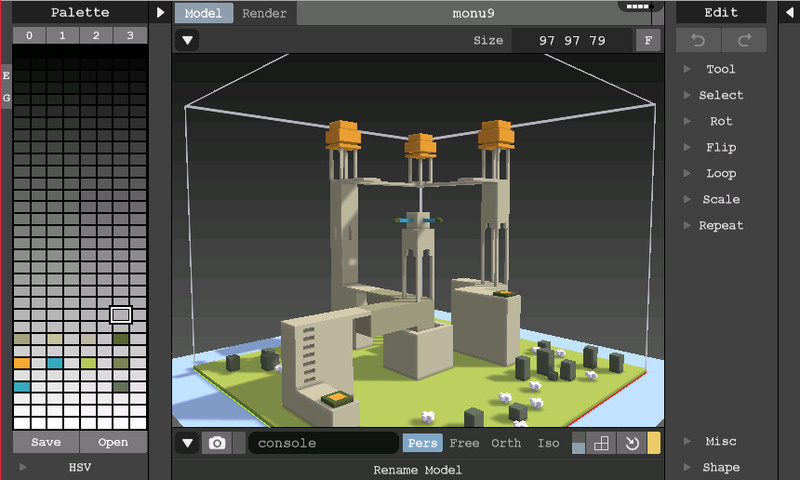 Users can attach, erase, move or paint voxels, and also insert existing patterns and basic objects as well. Due to its intuitive interface, the app can be navigated with was by users of all levels of expertise. Even those who have no prior experience with 3D modeling apps will find it a breeze to work with. Users will find all the basic functions easy to grasp and will be able to move on to configured keyboard in no time. These shortcuts will make the creation process more efficient. 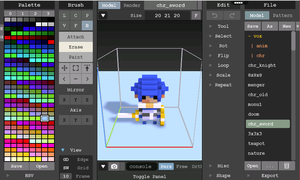 Overall, MagicaVoxel has all the tools that are required in a basic 8-bit editing app. 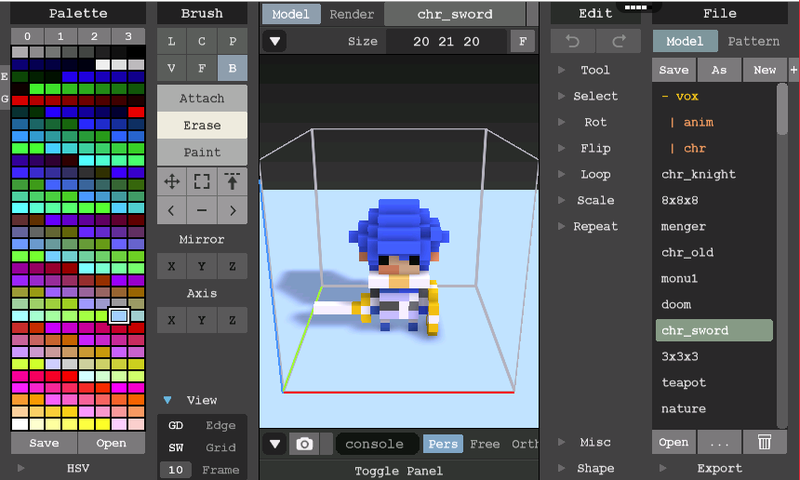 With it, users can create and export models in a very short time frame.